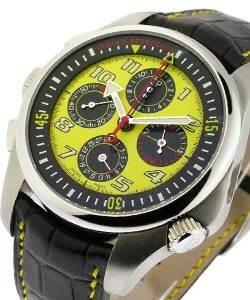 Ferrari 360 GT Chronograph - Limited Edition 50 pcs. 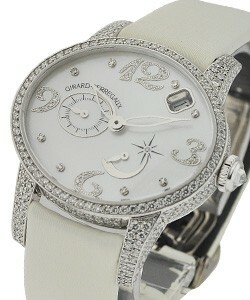 Girard-Perregaux was founded in 1856 when Constantin Girard married Marie Perregaux. 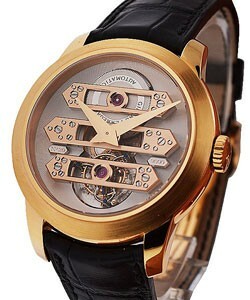 Soon after, the company really made a name for itself when it unveiled at the Paris Universal Exhibition the masterpiece, 'Tourbillon Sous Trois Ponts d'Or' (translation: Tourbillon with Three Gold Bridges). 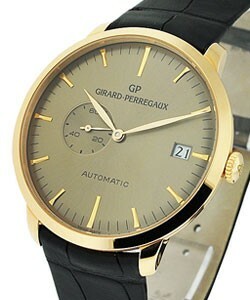 150 years later, Girard-Perregaux is still intact. The brand has taken off since 1992 when Italian entrepreneur, architect and former racing driver Luigi Macaluso took over the reins of GP. 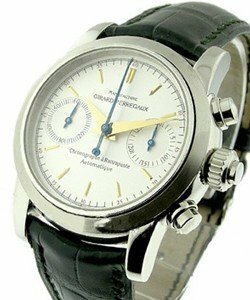 Today it enjoys the status and reputation and acceptance as one of Switzerland's elite watch manufacturing companies in the same company with Jaeger-LeCoultre and Ulysses Nardin. 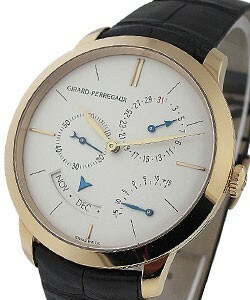 In the 1960s, Girard-Perregaux (aka 'GP' and 'Perregaux') was one of the rare Horology Houses to have its own research and development team. 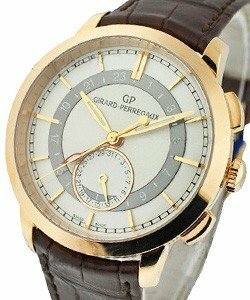 GP launched the first ever High Frequency Movement in 1966, which brought accuracy levels to a new height, proven by the fact that the following year, in 1967, of all chronometer certificates awarded by the Neuchatel Observatory, 73% of these were issued to Girard-Perregaux. 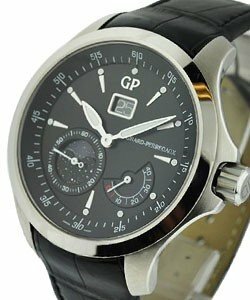 The 'Girard-Perregaux 1966 Collection' pays tribute to this exciting era, and incorporates GP's outstanding commitment to the marriage of innovation and design. 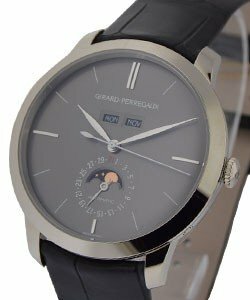 If classic elegance is your thing, and particularly if you're a fan of intricately designed, ultra-thin watch cases, the 'Girard-Perregaux 1966 Collection' is definitely worth your consideration. 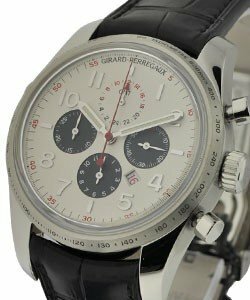 One GP line that is the epitome of the Girard-Perregaux dedication to the marriage of fantastic form with function is the 'Girard-Perregaux Enzo Ferrari' line. 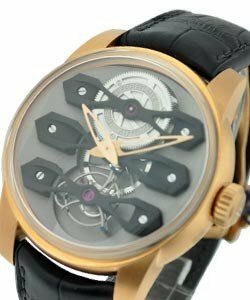 The 'Limited Edition Enzo Ferrari Triple Bridge Tourbillon' features a tourbillon with three gold bridges, perpetual calendar embedded with the chronograph sub-dials, and a tachymeter. Elegant, complicated, yet still hip and sporty, the 'Enzo Ferrari Triple Bridge Tourbillon' is definitely a popular model with both GP wearers and collectors. 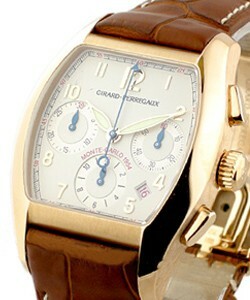 Also great for those men who insist on style along with function, is the 'Girard-Perregaux Ferrari Chronograph'. Elegant, and avail in steel, 18K rose gold and titanium, this 40 mm titanium watch is not just a limited one, but also a popular one. 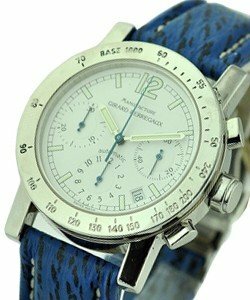 Various different colorful variations of the sub-dial, especially those on the titanium with carbon dial version ('Ferrari Chronograph in Titanium F 360GT') have made this watch a favorite with racing and sports enthusiasts, alike, as the 'GP Ferrari Chrono' is as stylish as it is sporty. 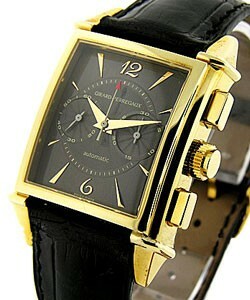 Vintage Watch lovers absolutely win with the 'Girard-Perregaux Vintage 45' line. 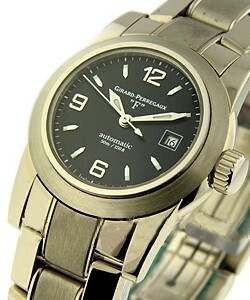 These rectangular GP watches feature various complications and functions, while still appearing as vintage as can be. 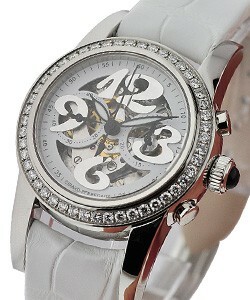 The Perregaux 'Vintage 45' line is styled after the trends of the 'Roaring 40's', and every variation is just stunning! 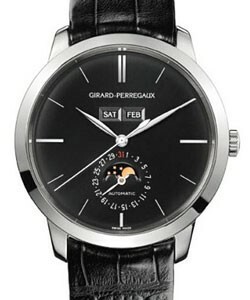 Variations of the 'Girard-Perregaux Vintage 45' line include: The 'GP Vintage 45 Big Date Moon', 'GP Vintage 45 Chronograph', 'GP Vintage 45 Foudroyante' and 'GP Vintage 45 Foudroyante XXL', 'GP Vintage 45 Perpetual Calendar', 'GP Vintage 45 Triple Calendar', and the 'GP Vintage 45 Power Reserve'. 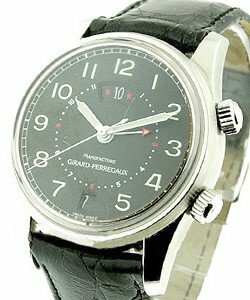 Also avail in this great vintage luxury watch line are some fabulous women's GP Vintage Models, and various very cool 'GP Vintage 45 Limited Editions'. One very rare 'GP Vintage 45 Limited Edition' is the 'Vintage 45 Marilyn Monroe Special Edition', which is limited to just 30 pieces. 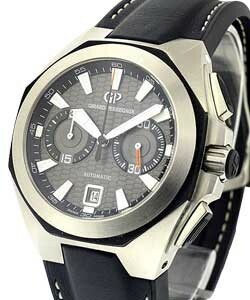 Back to the sporty; the 'Girard-Perregaux Laureato Perpetual EVO3' is another aesthetically pleasing and sporty men's luxury watch. Featuring a perpetual calendar and chronograph, it is the slightly more complicated brother of the famous 'Girard-Perregaux Laureato BMW Oracle USA 98', and equally as handsome. Other models in the 'Girard-Perregaux Laureato' family, include the bold and modern DLC coated 'Laureato BMW Limited Edition Flyback Chrono', the stunning 'Laureato BMW-Oracle USA 87 in Steel', and the more subtle 'Laureato BMW Oracle Racing Watch on Rubber Strap'. 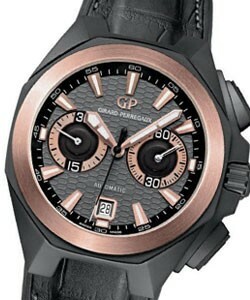 Another consideration for a sophisticated yet sporty guy is the 'Girard-Perregaux Sea Hawk' watch collection. 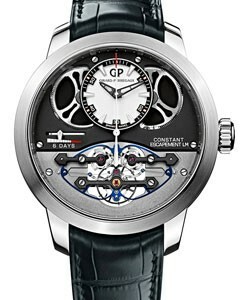 Variations include the deep sea capable 'Sea Hawk Pro 1000m Tourbillon', the 'GP Sea Hawk II - John Harrison', along with the 'GP Seahawk PRO' and 'Seahawk II' in all metals. 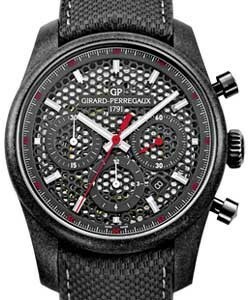 Girard-Perregaux 'Sea Hawk' models are water resistant to 1000 meters, feature a Unidirectional Rotating Bezel, and are sized from 40mm to 45mm. 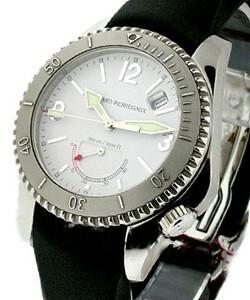 The 'GP Sea Hawk' models are all appropriate choices for any form of swimming, snorkeling and deep sea diving. 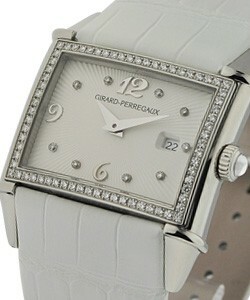 Girard-Perregaux is known for making spectacular rectangular watches, like in the aforementioned 'GP Vintage 45 Collection', and the Girard-Perregaux 'Richevelle' line is another great example of this. The rounded rectangular case gives these luxury watches a wonderfully smoothly curvaceous appearance, and with complications like Perpetual Calendar, Chronograph and GP Day-Night Rotating Hour Ring, the 'GP Richeville' line is a truly unique achievement. Aesthetically, the 'Perregaux Richeville' line is a great compromise for those unable to decide between a round or rectangular watch, as The 'GP Richeville' has the round smoothness of the round case, but has the stylings of a rectangular case. 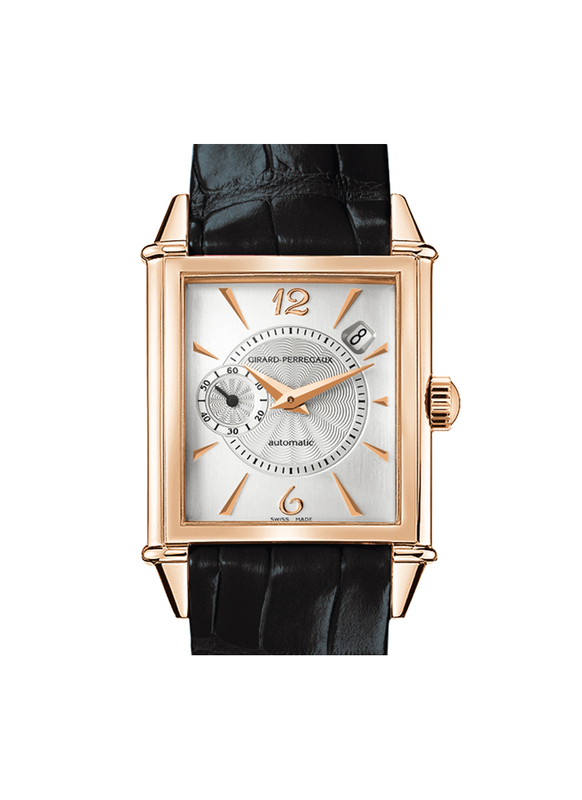 'Girard-Perregaux Richville' watches have variations for both men and women, and are avail in steel, platinum and 18K yellow, rose and white gold. 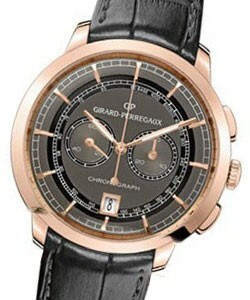 For fans of horological innovation, the 'Girard-Perregaux Sport Classique Rattrapante' is popular because of its GP Rattrapante or GP double chronograph. 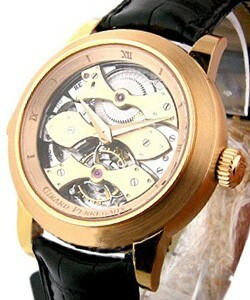 This means the two second hands allow for two different actions with different durations to be timed simultaneously. One push releases both hands, and while one will continue to register the time, the other can be stopped repeatedly or restarted or reset to zero. 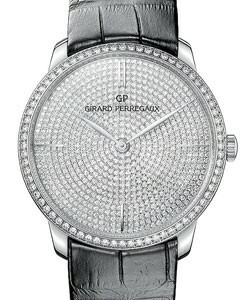 Also favored by regatta enthusiasts, the 'Girard-Perregaux Sport Classique Rattrapante' is water resistant to 30 meters, and is as handsome as it is incredibly crafted. 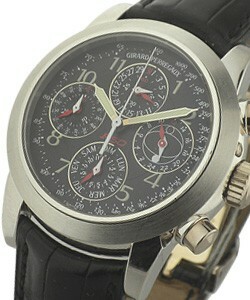 Another Uber-complicated GP watch is the 'Girard-Perregaux World Time Chronograph Financial'. 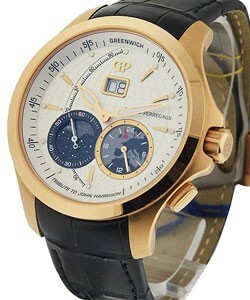 This dressy men's watch actually has the ability to tell global stock market trading times. 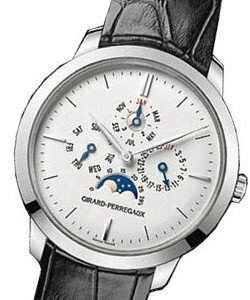 The 'Girard-Perregaux World Time Chronograph Financial' features cities of the world on its beautifully designed dial, along with a with a day-night indicator. 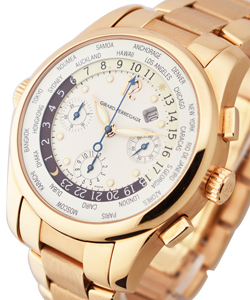 The chronograph uses a sweep seconds hand and three sub-dials, located at the three, six, and nine o'clock and the current date is shown through the window between the one and two o'clock positions. 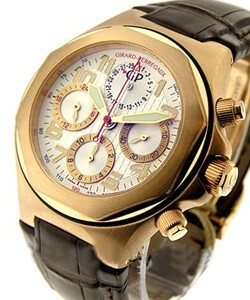 The 'Girard-Perregaux World Time Chronograph Financial' is an incredible feat from the skilled watchmakers at GP. 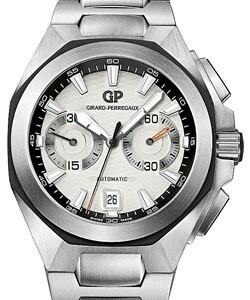 Other notable 'GP World Time' pieces, suitable for businessmen, complicated watch aficionados, and those interested in investment and stock-trading, are: GP's 'World Time Chronograph WWTC', 'World Time Chronograph in Titanium', 'World Time Chronograph Jerusalem', 'World Time Chrono on Bracelet', and the 'World Time Chronograph - BMW Oracle USA 76 Challenger'. 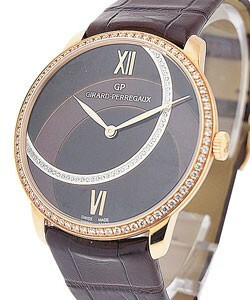 ItAs safe to say, Girard-Perregaux is one luxury watch brand that really does have something for everyone.